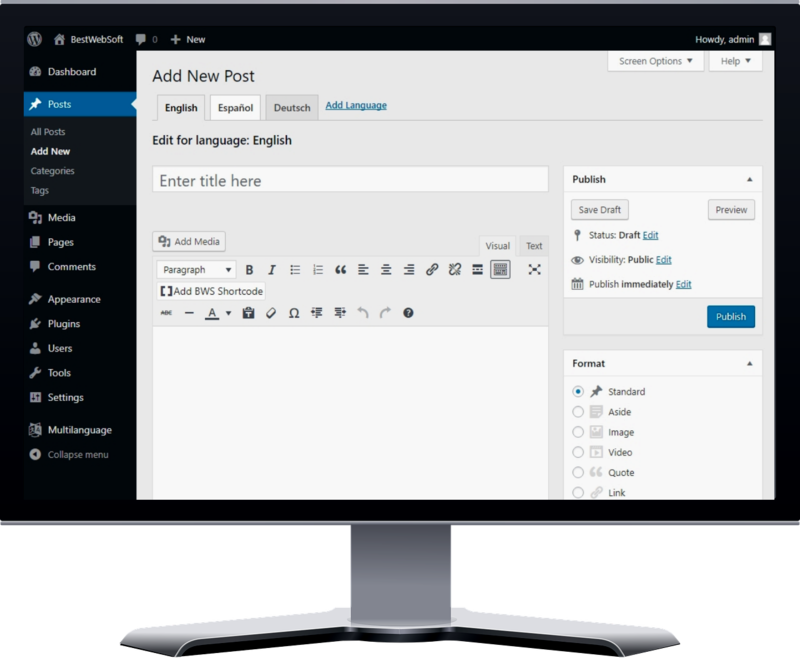 Multilanguage plugin is the easiest way to translate your WordPress content into other languages. 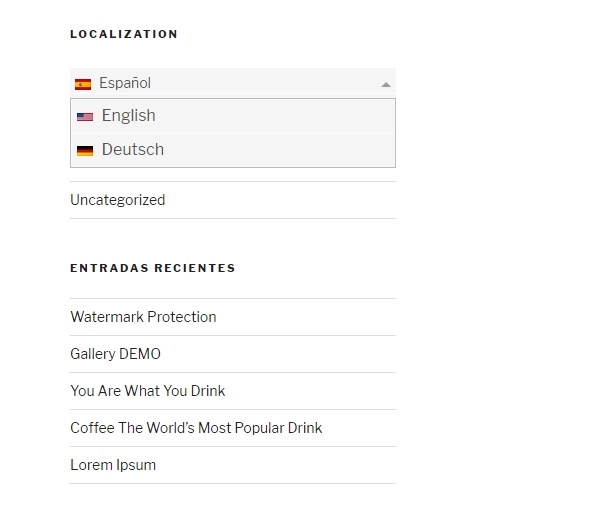 A simple and powerful plugin which adds customizable language switcher in a menu, as a widget, or in the site's footer. We always try to make our plugins better and more convenient, add new features, and keep you up to date. Have something to share? Maybe have a feature to suggest? Just get in touch with our support team. The unnecessary license can be canceled and refunded as desired according to our Refund Policy. Multilanguage plugin makes it easy to build a website and run it. This plugin comes with over 80 pre-installed languages and it’s not a limit because you can easily add new ones. 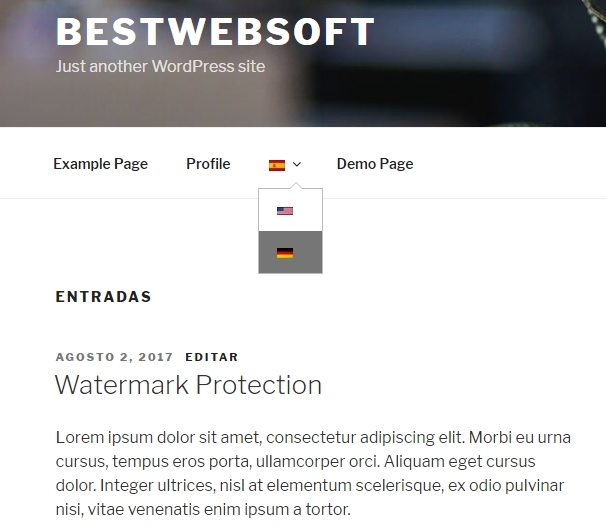 Fully packed set of features allows you to create the most attractive bilingual and multilingual WordPress site in minutes. 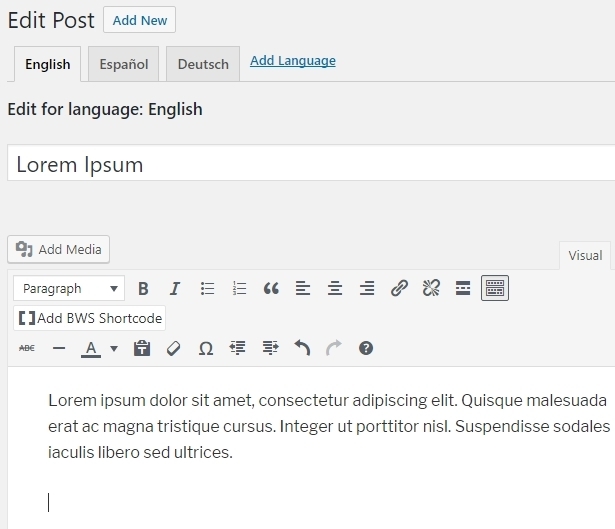 Easily translate your pages, posts, widgets, menus, custom post types, and taxonomies. Customize switcher, language flag, etc. There’s an ability to hide the default language slug in your link. 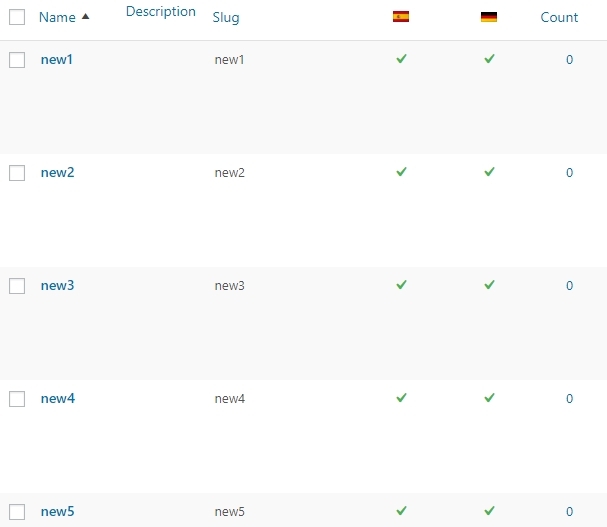 As for other added languages, you can change full slug to its short version. You can easily customize widget displaying for different languages: choose where it should be shown and where you would like to hide it. 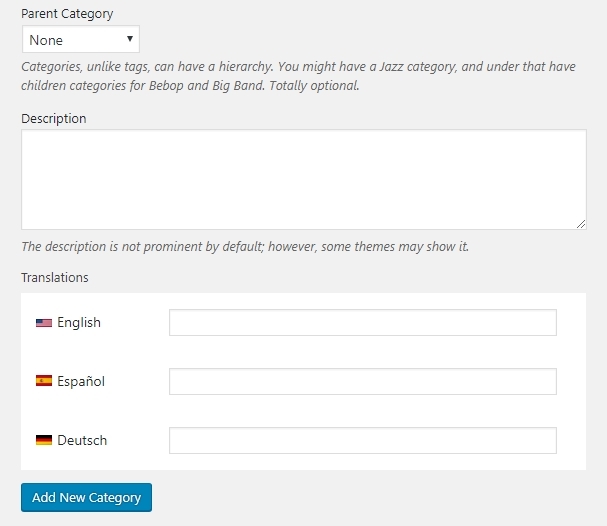 Translate custom post types, taxonomies, and fields. Moreover, you can translate widget and website titles and tagline. You can easily set the language which will be used in your WordPress website search: all languages or just the current one. Adding multilanguage plugin is a great way to allow your users and visitors read your website content in their own language which is not corrupted by Google Translator. 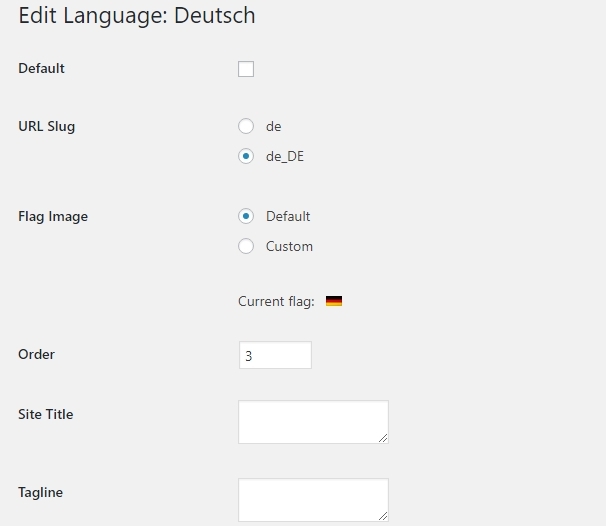 Choose custom flag for your language. Switch language based on user’s IP. Create separate menus for different languages. Choose language switcher type and displaying. 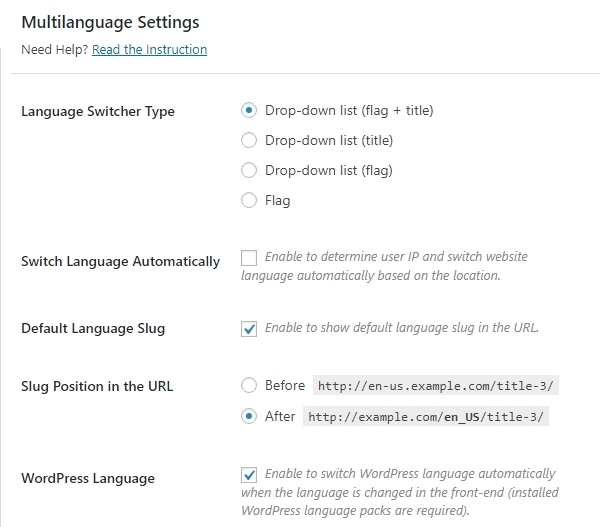 Expand your WordPress website functionality with Multilanguage plugin premium features. Join BestWebSoft Pro Memberships today and use plenty of products paying one price.